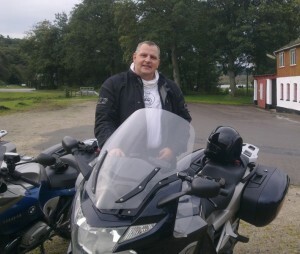 Tourstart is used by many motorcyclists worldwide and Tourstart is the preferred web page and iPhone app for motorcyclists to find events, tours and plan a motorcycle route. We are a team of dedicated motorcyclists who work hard to make Tourstart an attractive place where you can enjoy your interest for motorcycle tours - but we need your help. Tourstart is something special. We are independent why we offer integration with all major motorcycle gps types across manufacures and counties. We have only a few commercials, which is far from enough to secure the operation. Adverts are good, and we are very happy with our advertisers. But, we want to focus fully on the core of Tourstart - the pleasure and freedom riding the motorcycls on a fantastic motorcyle tour. How is the donation used? Tourstart is free, but we have costs like any other web page. We use a lot on servers, programs, exhibitions, marketing material and salaries. Further, many motorcyclists has asked for an Android app. That is expensive to develop. If all users of Tourstart would donate €10 each, Tourstart can focus on developing or free services - for your usage and pleasure also. That is the reason we ask you to help and at the same time it is to help yourselvec to get some good experiences on your motorcycle. We kindly ask you to give €5, €10 or €50 - or whatever you find resonable and can afford. The amount assures we can continue developing a good userfriendly web page as well as continous update our iPhone app. Click the donation button and help us. "Thanks a lot for the donation to Tourstart. We are very happy fo that. Please tell the readers why you have donated to Tourstart"
"My first reason is because Tourstart is so easy to use and because I spend a lot of wonderful hours on Tourstart planning my tours. Until now I have recorded 35 000 km- all planned on Tourtart. I also use Tourstart on www.sonnytour.dk mainly heading for Harzen, Germany. More than 50 guests have so far, and it is good to know they all have the mc route on their gps, so we meet at next poi or at the destination in case we get lost from each other. I will like to do my fair part to assure Tourstart keep up the good work - which is the main reason why I donated to Tourstart"
You can see all the tours Sonny has made on Sonny´s MC tours here and to gets some inspiration for good motorcycle routes. And of course you can downlaod the mc route to your Garmin, TomTom and Navigon GPS.